It’s difficult to make the decision between purchasing hot or cold removable insulation materials without truly knowing both sides of the story. 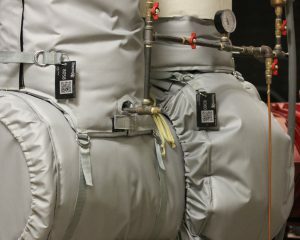 Both forms of insulation materials are going to save you money in the end, but it is vital to determine which is the most practical and cost effective for your piping system. 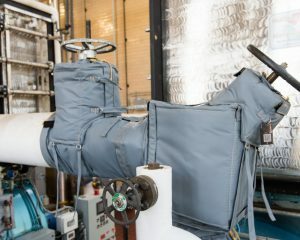 Removable insulation is specifically designed to insulate piping systems transporting gas and substances at high temperatures. The materials used to construct the insulation work to prevent your pipes from overheating, while keeping the warmth inside the pipe. This helps to cut down on energy bills for your facility, saving you money in the long run. Polyurethane Foam: Perfect for handling low thermal conductivity and substances with below freezing temperatures. Polyurethane foam also allows for low smoke emission and low water vapor permeability. Rubber Foam: Rubber foam is also often recommended for condensation control as the closed cell technology is highly resistant to moisture vapor. With chilled insulation, keeping the cold in is as important as keeping the heat out. There are many types of insulation used on chilled water pipes. The two most popular are foam glass and rubber insulation or Armaflex. Although a little more difficult to work with than pre molded fiberglass, when installed correctly, these materials do a great job of stopping condensation and preventing energy loss. The difference between hot and cold insulation materials comes down to a few things. Firstly, the materials used in hot insulation covers doesn’t require a water vapor barrier that a cold insulation system needs to properly function. 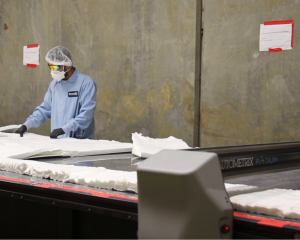 The water vapor barrier helps prevent metal degradation that can occur overtime. Buildups of condensation occur within cold systems, which require bendable or flexible insulation to deal with this issue. Therefore, the types of metal, fiberglass, foam and other materials used for thermal bridging in cold insulation are much more flexible and moldable than those found in hot insulation materials. Lastly, closed cell structure is needed in cold insulation to help avoid wicking. The material in high temperature insulations allows water to enter because the heat will cause the moisture to evaporate. 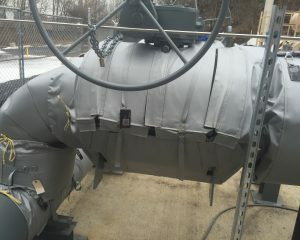 However, in a cold insulation system the water will not evaporate. 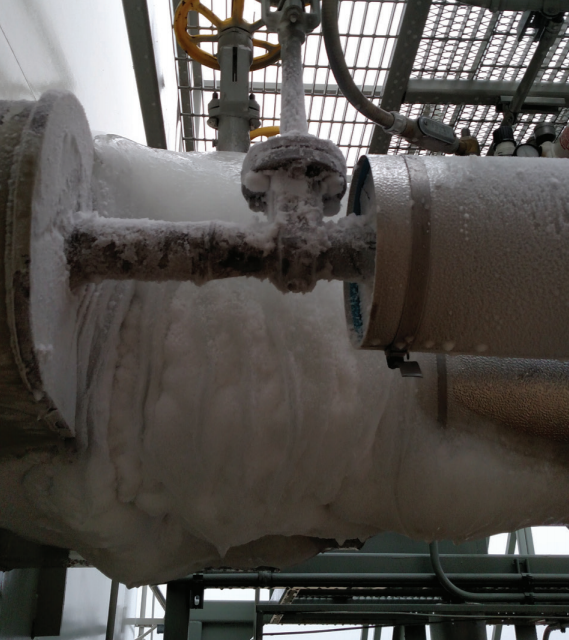 Closed cell structure of the cold insulation material helps prevent this problem. Once the insulation has been chosen, an exterior jacketing must be picked. When the insulation is installed properly and to manufactures suggestions, the covering is usually chosen for the environment it will be exposed to rather than the hot or cold type it is insulating. For interior components, that will not be walked on or subjected to frequent damage, PVC or silicone is normally used. For pipes that may be subjected to frequent damage, metal or thicker PVC can be used.